Sarah Jane R. December 9, 2017 I worked with Vanessa and a TFP basis for a boudoir shoot in December. I've shied away from modeling the last few years because I was feeling objectified and degraded (I know, that's the industry). but Vanessa was so professional, and personable, and just HUMAN that I really thoroughly enjoyed working with her. I even decided to buy photos from her outside of my package items, that should speak for her skill and quality of work. To sum it up, she's professional, talented, and definitely worth the money. You will not be disappointed! Pamelia V. May 21, 2017 Wedding Photography ★★★★★ Package within our budget. Thumbtack Customer May 20, 2017 (Anonymous Review) ★★★★★ She is so amazing! I would recommend her to everyone. Beatriz D. May 8, 2017 Portrait Photography ★★★★★ Vanessa was very receptive to the photo ideas we had for our session and was very detailed within the shoot by showing us pictures during the process and considering our feedback. We found her to be detailed, timely, professional and a delight to work with. We will use her services again, for sure! Sharlene G. May 8, 2017 Engagement Photography ★★★★★ Vanessa was so accommodating on short notice which took such a great load off. The location was absolutely breathtaking and the end result was the pictures are the best I have had EVER!!! I highly recommend Vanessa. She was professional, patient and was wonderful in guiding my fiancé and I with posing. The hard part is for us to choose which ones are our favs. That ALL are. Thank you so much Vanessa. You are amazing. Revathy S. ★★★★★ It was wonderful working with Vanessa. It was our anniversary and the outdoor shoot was a great experience for me and my husband. We thoroughly enjoyed the experience. Vanessa made us feel very special and comfortable. She had captured all the moments pretty well and the photos turned out to be great.Thank you Vanessa for the work well done. Deloris M. -★★★★★ "Vanessa Bryan is the Best! Vanessa has been doing photography for my family since 2012. Every session has been a wonderful experience. Vanessa has always been very professional, creative and easy to work with. 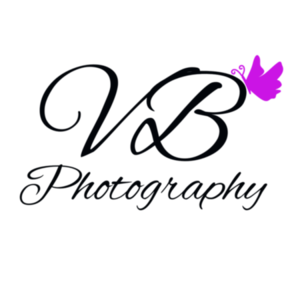 I will always choose Vanessa Bryan for all of my photography needs." Lauren G. - ★★★★★"I love my pictures!! Vanessa Bryan Freelance Photography is such a fun experience! She is so professional but really made me feel comfortable. She makes it fun when you would otherwise feel awkward doing a Boudoir set lol. And not to mention, my man Loved the pics. The pictures really turned out great. We had a lot of fun doing the session and would absolutely recommend her to Anyone! Thanks again Vanessa!!" Natalie P. - ★★★★★"Awesome Photographer! Vanessa is extremely professional, and very creative with her shots. We used her for engagement photos which turned out soo perfect! Then later for a boudoir session she made me feel so comfortable and i was extremely pleased with the shots and her editing! She is the best!" L'Dawn S. - ★★★★★ "Wonderful... Vanessa is wonderful. She has done my family portraits and a boudoir shoot, as a surprise for my husband and a pin-up shoot. All three times she was very professional and creative. I will definitely go to her again as the need arises." Kristen B - "First of all, Vanessa's photos are phenomenal. Her magic with the camera made me look like a super model! The shoot with Vanessa was much more fun than work. It felt like I was spending time with an old friend. She was pleasant, fun, and very easy to work with. Best of all, the pictures were up for me to preview by the end of the weekend!" Abner D. - "I really enjoyed working with Vanessa, she was very knowledgeable about the outdoors, which makes the experience of performing in front of the camera very relaxing. I enjoyed the time spent and the creativity of her art. It would be my pleasure to work with Vanessa again." Angela O. - "The picture is beautiful i love it no problems shipped fast"
Sonja N. - "Lovely work! Recommend and will do business with again!" Leah G. - "My name is Leah and I worked with Vanessa at the jax models calender shoot. The experience was great, she's very professional and has an eye for what looks good. I think the pictures came out great and I would definitely recommend working with her to anyone. Especially if you've never had professional pictures done, because she makes you feel very comfortable, and she knows what poses will work. She was definitely one of my favorite photographers to work with. I can tell she has a passion for what she does." Maryann Dupras -"Vanessa is a wonderful photographer! She has many great ideas to offer to make your picture look its best. She is great with portraits and captures great angles of you. Her laid back and mellow attitude allows you to relax and feel comfortable with her. We all know that feeling comfortable and relaxed is key in creating beautiful pictures that she can easily capture! Tracy C -Working with Vanessa before, during and after our large family event was a pleasure. She captured the action, laughs and emotions in her pictures and quickly turned around the proofs for review and ultimate purchase. She is a very talented and flexible professional and we would highly recommend her to others." Julian and Amber D. - "As a bride-to-be planning your wedding can be the most stressful time in your life. Trying to ensure that everything goes as planned and also making sure everyone is in the “right” spot can be hectic. Trusting someone outside of my family to ensure that my (now husband) and my day went off without failure was hard but Vanessa pulled it off like a Champion. Vanessa was truly a professional she knew what I wanted prior to our wedding; she ensured that our day was to be captured to a key, so it could be remembered for many years to come as we looked back on our special day. Looking back at things now, my husband and I are truly excited that we hired Vanessa to be our photographer, not only did she provide us with the best level of professionalism she also provided us with memories for a lifetime. So Vanessa, Julian and I want to thank you for being the best of the best in your field, and giving us the best of what you do." Katie S - "I found Vanessa on the Internet and I am so happy I did. She was easy to schedule with and was flexible in our time. She worked GREAT with the children, ages 2 and 4. The girls felt so comfortable with her, which allowed us some great shots. More than reasonable price and the product turned out great! We are so happy we found her and will use her again in the future"
The Sykes and Hartley families - "Vanessa, Why couldn't we have found you sooner....we just love what you have done with the photos that were taken by a family member. You did a wonderful job touching up and fixing the discrepancies. We should have checked around before we asked our family member to be the official photographer for Brittany & Matt's wedding. I guess it is true what they say that you should never hire a family member to do a professional job. You have turned our nightmare into a dream come true and we have you to thank for the great pictures. Now Brittany & Matt can look back at these photos and smile at their most memorable day..."the first day of the rest of their lives together." Thank you from the bottom of our hearts"
Brandon and Stephanie D'Imperio - "We found Vanessa through her website and were happy with her timely response. Throughout our interaction she was friendly and easy to talk to, giving us a great comfort level. Overall her prices were nice, and the quality of our experience was high. The photo viewing process was timely. We are quite happy with the services and enjoyed working with her. We would use her again." Kristin and Brian Reap - "We found Vanessa on the internet and it was one of the best things we did while planning our wedding! All of my questions were answered almost immediately and I would recommend her to anyone. She was very professional, helpful, and friendly. Her pricing was VERY reasonable and for the quality and end results her competitors were no where close. She provided everything we hoped for and we are so pleased! It was a painless and easy using her again in the future. Heather and Nathan McCaslin- "What an excellent photographer! Very personable and patient! She had her work cut out for everyone!" Cierra Carter- "Vanessa was wonderful and she is very flexible.What i like about her is that she made suggestions and she kept contact contact with me throuhout the duration of my event and even tho i cancelled my party i was still able to find a altenative to me taking my pictures. Thanks Vanessa u r the best"
L'Dawn - "Vanessa was fun and personable. She made me feel comfortable which helped to shoot flow so well. I loved the photos I recieved from her. The photos were a gift for my husband and I's anniversary. They turned out so well, he loved them!! I can not go on enough about how much I loved working with her. I can't wait to schedule family pictures!"